Clonex is a quality brand renowned throughout the industry for the effectiveness of its tried-and-tested rooting gel. 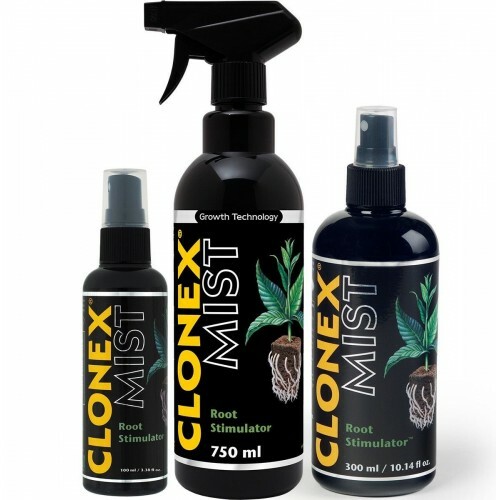 Clonex Mist is their innovative new product – a foliar spray formulated to assist cuttings and seedlings through their most vulnerable stages. 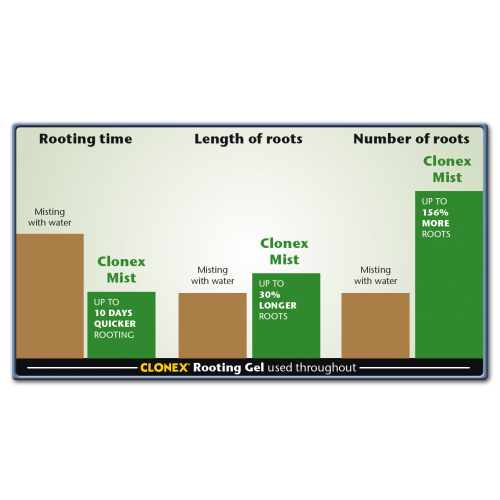 Every grower wants to give their plants the best start possible – Clonex Mist is a great way to improve cutting success-rates, reduce rooting times and improve overall vigour from the off. Growth Technology – professional quality products for professional results!